When it comes to establishing your presence online, web design is only part of the equation. Don’t have a business name or logo? Feeling like you need to set your sights on a particular niche market, but don’t have it solidified yet? In order to grow, it’s essential to solidify your foundation. Ask yourself—if your company was a living, breathing person, what would their personality be? That’s what your brand needs to embody. Business Dictionary defines brand identity as “the visible elements of a brand (such as colors, design, logotype, name, symbol) that together identify and distinguish the brand in the consumers’ mind.” It’s what your consumers feel when they engage with your company. Archon Commercial Advisors, an incredible team of driven, passionate commercial realty advisors, came to us ready to grow their business. This team knew the power a website provides when it comes to online growth and, more importantly, they knew it was the perfect tool to announce their presence in the Orlando market. But before we could handcraft their website, we needed to establish a true brand identity. They were hungry for growth, but in order to get there, they knew they needed a name, a logo, signage and more. Together with Archon, we journeyed through the eight important steps that make up the Designzillas brand definition process. Throughout this entire process, our priority was a cohesive collaboration between the DZ and Archon teams. We hit the ground running with a deep-dive discovery meeting that allowed us to creatively extract goals and expectations from their team, forming the foundational layer for brand strategy and positioning. Our first exercise was creating mood boards with cut-up magazines. 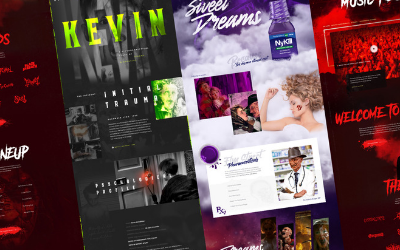 Both the Designzillas team and the Archon team cut out aspects of the magazines, whether that was descriptive words, photography, designs, color palettes, etc., and each placed them on a mood board as a collection of their ideas for the brand. The results of this exercise were interesting, particularly because their three team members each created a board focused on a different aspect of the brand: one heavily focused on typography and content, one focused purely on imagery and the other a little of both. This is just one representation of how each member of their team brings unique characteristics to the table and how they’re able to use their strengths to work together. If your brand was a vehicle, what would it be? If your brand was an electronic device, what would it be? If your brand was a superhero, which would it be and why? We then took those answers and wrote them out on a whiteboard and began to connect them. If someone said Batman and someone said Tesla, we were able to connect them together based on the similar emotions or characteristics those answers evoked. This process gave us a really good understanding of the perspective of each member of the Archon team, how they were alike and which aspects we could later identify as solid pillars of their brand identity. The second mapping exercise was word mapping—a way to tap into the naming component of their branding process. We started with common commercial real estate industry terms and created a web, similar to the mind map we had just made. After industry terms, we added adjectives that related to their personality and brand. The result? A huge web of words of what would soon become Archon Commercial Realty. After the brand discovery meeting, our Zilla team set out to condense, combine and narrow in on the findings we gathered. We began researching the industry, identifying key “brand pillars” to narrow in on, based on the responses from our exercises. We used the word web to identify common themes or central words and pulled them into a refined list. As we began to narrow down the feelings, descriptors and thoughts we wanted the brand to encompass, our team collectively brainstormed possible ideas for a company name. Because Archon was not yet an established brand, we had the luxury of full creativity throughout the process. This really allowed us to bring all possible ideas, even if they were a little unconventional, to the table and use them to narrow in on the best possible name. Once we focused in on our top three name ideas, we came up with definitions of what each company name suggestion meant, as well as the right pairing name, meaning Archon Realty, Archon Commercial Realty, Archon Commercial Advisors, and the like. We also researched available URL domains for each name suggestion and consolidated the top domains for each. When it comes to establishing a brand, it’s important to have a company name and a complementary domain name that are easy to remember and, ideally, easy to find online. 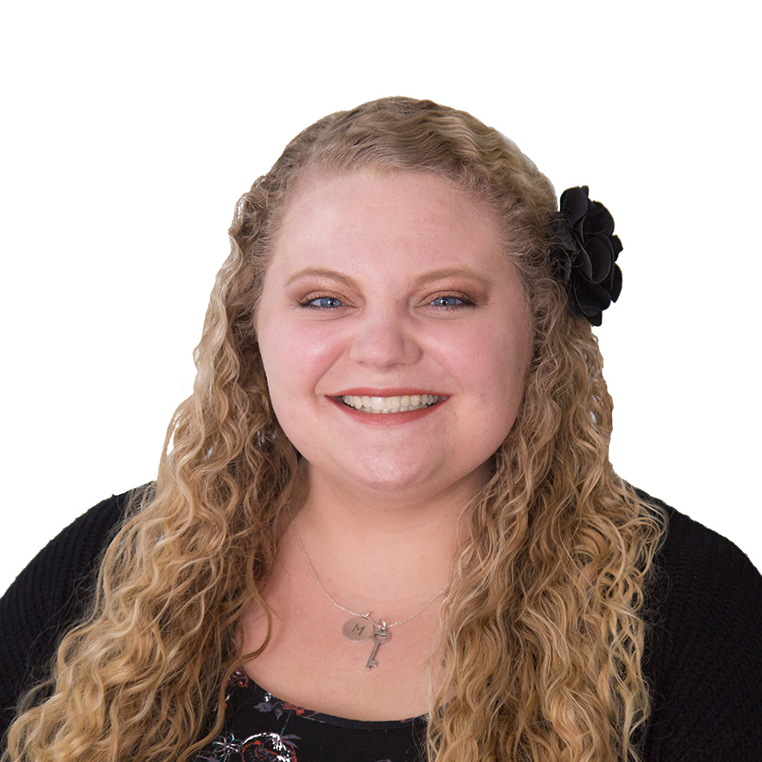 Our Marketing Lead, Danielle, used market research and the insight from our brand discovery meeting to establish a positioning statement, brand promise, brand pillars, mission statement, tagline and tone of voice that really embodied the brand messaging and helped define that for them. In our Brand Name Reveal, we pitched our three brand ideas. We placed a heavy focus on getting their team in the right headspace for imagining our ideas were actually the new identity of their brand. Each name was supported with a definition of the name and a mood video. Then, we prompted them with insightful instructions, such as “imagine this name on a business card,” “introduce yourself with the company you work for—how does it feel? How does it resonate?” We also discussed the extension options, such as commercial realty, commercial advisors, real estate, etc. Archon Commercial Advisors was born! We were pumped to officially have a name for this brand, but the fun had only just begun! The Zilla team dove head first into creating the tangible representation of Archon. Throughout this detailed discovery and brand identity process, each member of our team brought their strengths and combined their powers for the greater good. Our branding process is often one of the most collaborative times for our team (and we love it). With the brand strategy and identity defined, it was time to dress it up! Our design team got to work on brainstorming a variety of logo ideas utilizing our research and discovery meeting information. After lots of creative sketching, we honed in on our top ideas and presented them with different color variations. Each of these variations focused on a certain aspect of the brand. One option featured an endless triangle of three arches that always lead and connect to each other, representing the three founding members of the Archon team that always support the company, their clients and the Central Florida community. Another option featured endless archways and a network to symbolize how a consumer comes to Archon and the team helps them progress toward their end goal. One was a soldier-like face, pulled from the definition of archon, which is “to rule.” Another option showed arched fingerprints that together formed an “A” shape. This represented how with each property Archon touches, a fingerprint is left as a sign of lasting relationships. The Archon team instantly loved the black and green brand palette and the fingerprint logo option—BAM! They approved it on the spot. We created this document to serve as a foundational guide to using the Archon brand identity. It is a perfect reference if there’s ever doubt when it comes to logo use or color choice. It is written from the perspective of the Archon team so that they can use it and distribute it to anyone who may need to create work in their proper brand style. Brand identity is only the beginning when it comes to business growth. Archon’s brand was established and all collateral was unleashed to the world, but we didn’t stop there. Their website is the face of their business and represents the Archon brand to the world. Their team knew that their website needed to embody each of the brand pillars we had established for them: connected, personal, trustworthy and aggressive. With these in mind, we strategized, planned and executed a badass, growth-driven website design. Our content team drafted a press release and email announcement to fire off and announce the launch of the website! After launch, we even helped create and manage social media accounts to help connect qualified consumers to this powerhouse brand. When strong forces unite, it’s hard to contain their impact. Because of our strategic, collaborative branding process with Archon, the Designzillas team was able to develop a lasting relationship instead of a short-term, project-focused interaction. With a confident new brand identity, bold website and strategic marketing efforts, combined with a talented, trustworthy team, Archon is now a total force to be reckoned with. Interested in establishing an unforgettable brand presence? Tell us about your business goals and aspirations! Let’s do this thing.